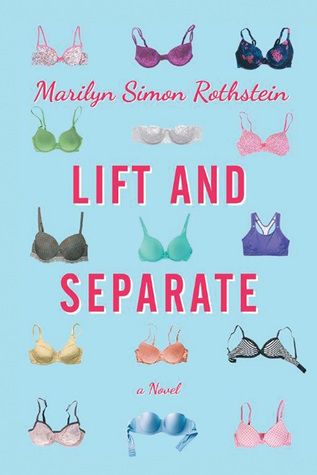 Kudos to Marilyn Simon Rothstein, author of “Lift and Separate” for an enjoyable,amusing, and “uplifting” novel. The genres for this novel are Women’s Fiction and Fiction. The timeline of the story is told in the present. The setting for the story is in Connecticut where the main characters live. I really love the delightful way in which the author weaves her tale around the characters. The author describes the colorful characters as complex, complicated, confused, quirky and in a few instances a few cards short of a full deck. Harvey Hammer is the head of a major global brassiere empire, and makes a lucrative living and a comfortable life for his wife Marcy and their three adult children. They have a gorgeous home and the best of everything. So what is wrong, you may ask? Marilyn loves to volunteer and is business minded. She has also been at home with her children and has done the best she can in bringing them up. She gets to have lunch with a close friend, and chat with her older Mom. Marilyn will probably tell you that Harvey is a generous tipper to a fault, and only wants the best of everything. Again, you might wonder what is wrong with this picture? Harvey is not sure what he wants. Harvey did want a well endowed 22 year old model in his lingerie department. Now he isn’t sure if he wants to come home or not. Marcy is hurt and devastated, but does lift herself up, and deal with the problems that life throws her way. There are secrets, and strained friendships, and Marcy’s children have some problems as well. Marilyn Simon Rothstein uses her storytelling ability with wonderful wit and a sense of humor, making this such an emotional, heartwarming and delightful story. I appreciate that the author discusses the importance, of family, friends, loyalty, trust, love, hope, faith and growth. I would recommend this for readers who enjoy Women’s fiction. I really enjoyed this “uplifting novel”. Happy Reading!